Memorial stones and church spire commemorate the Centenary Congregational Church. One of the memorial stones is obscured by a garden. The church was originally called the "Centenary Church " because it worship commenced in Kogarah in 1887, the centenary of Congregationalism. The architect of the church was Mr. H.C.Kent. 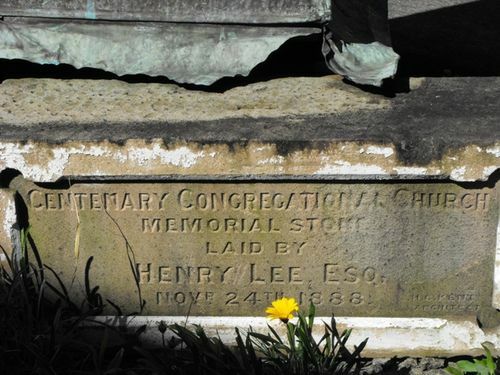 The stones were laid by Reverend Alexander Hannay D.D and Mr Henry Lee the delegates from the English Congregational Union to Australia.